Have you ever bought a stamp for one occassion? I have--Bubba's birthday- and I forgot to give him his card! I kept this layout simple as the bike was most important---at least to Bubba. 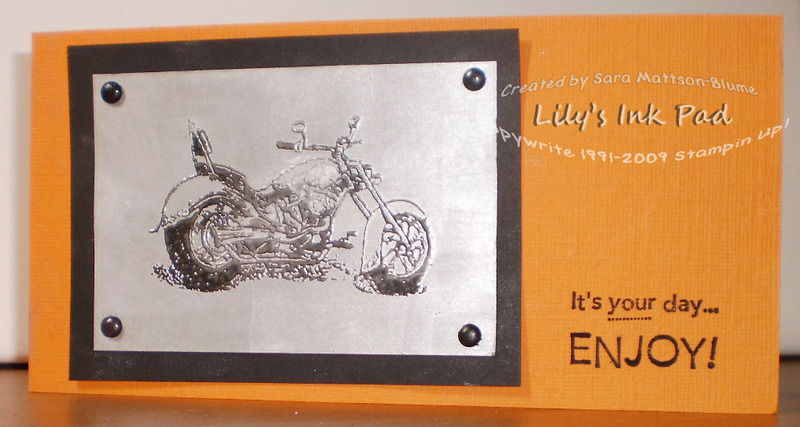 To make the bike look that way, I used black Embossing Powder and the sponged Shimmer Paint to color the cardstock so it looks like chrome. 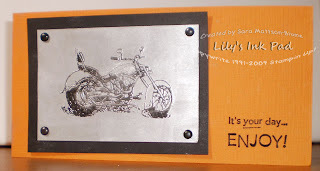 Coool idea to use the Shimmer Paint to make it look chrome!